CARLA BRONZINI was born in Milan, Italy. She lives and works in Buenos Aires, Miami and Milan. She received an Associate Degree in Fashion Design and a Bachelor´s Degree in Visual Arts from Miami University of Art and Design. In her work each piece is inspired on images from nature. She combines many different elements, like common metals, silver, copper, wire, yarns as well as fibers, stones, pearls and glaze. Each piece is one of a kind and made in Carla’s Studio. They are vibrant, wereable, and original. Currently, she works as a professional photographer and as a jewelry designer and maker. 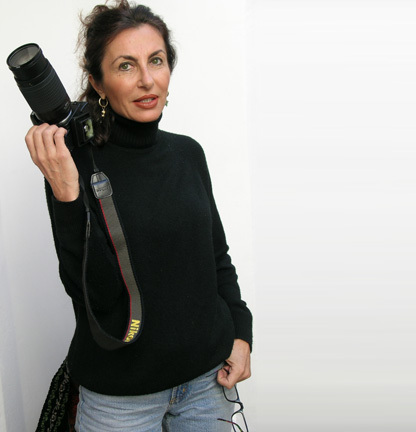 Her works have been featured in a number of print media, including the Miami Herald, Miami Magazine, Fashion Today, Giornale di Firenze, Grazia, Elle, Vogue, Bazar and People.